The government plans to institutionalize an ad-hoc channel created to take into account public opinion when drafting policies. 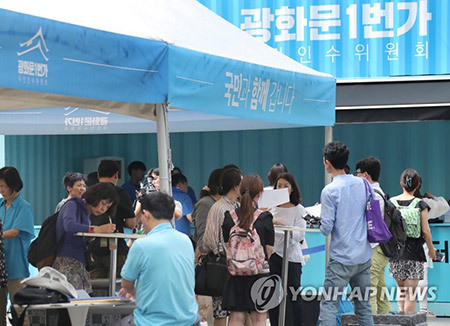 According to the Ministry of the Interior and Safety, a so-called open communication forum, where any citizen can attend debates on government policies, will be installed at the government complex in Seoul this week. 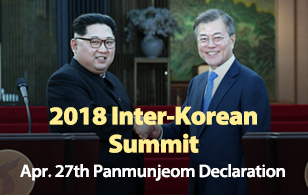 Since its launch last May, the Moon Jae-in administration has tried to reflect public opinion through either forums or online petitions via the presidential office's Web site. The ministry said beginning this Friday, offline public forums will be held on a regular basis twice a month and be aired live through the Internet. To help manage these forums, the ministry plans to create a task force consisting of members of the general public, experts and government officials. It will be charged with reflecting public opinions proposed through the forums in policies.